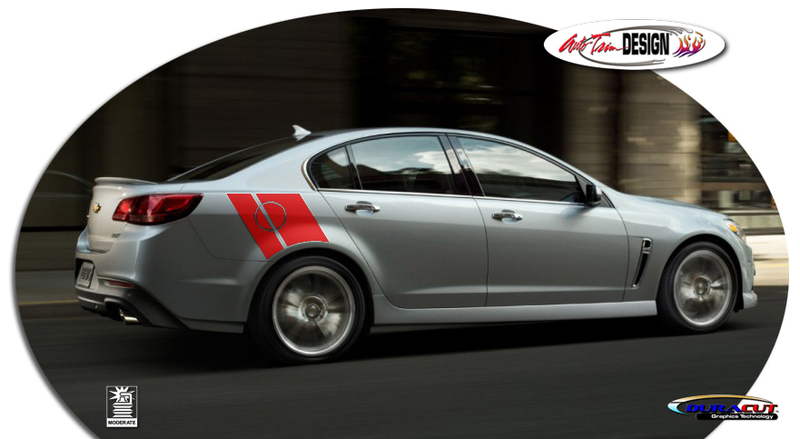 Make your '14-Current Chevrolet SS Sedan unique with our Body Side Graphic Kit. Easy-to-apply kit is PRECUT and ready to install in a wide variety of colors - NO TRIMMING required! This stripe package is not just a set of straight strips in a box. Our graphic kit consists of prefitted and contoured pieces that are specifically made for the '14-Current Chevrolet SS Sedan and will not fit any other vehicle.